This is no-frills lunch: order at the counter, grab a can of soda from the self-serve fridge, maybe pick up a snack-size bag of chips, and take a seat at one of the handful of tables, or take your food to go. It’s technically fast food, a quick-service sandwich model that’s lent itself to the largest restaurant chain in the world, but the food here tastes of homemade, old-school recipes, carefully put-together sandwiches towering with meat and sauces stewing for hours. 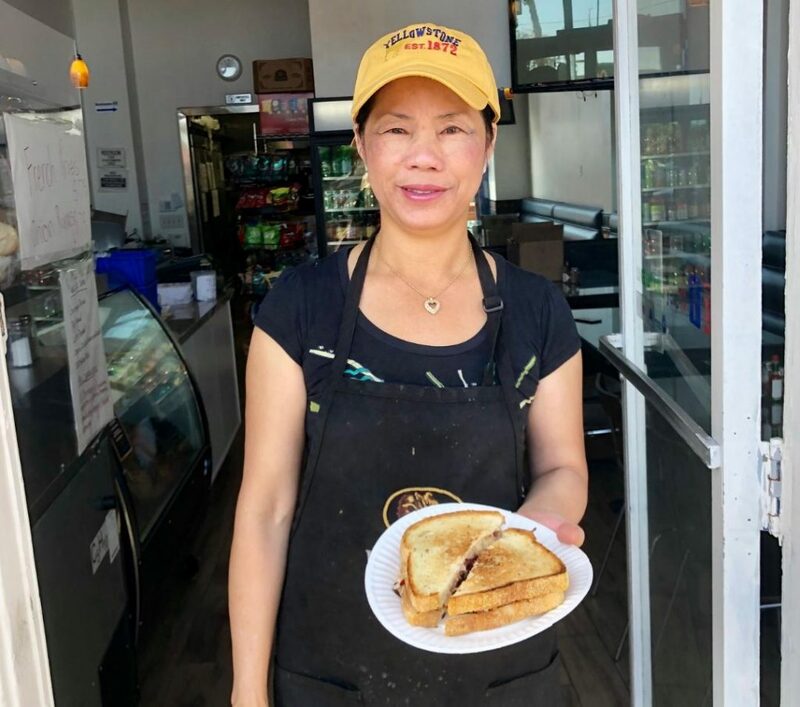 JJ Italian Deli, owned by husband-and-wife team John and Janet Tran, opened at the beginning of November, taking over a small spot on the corner of Long Beach Boulevard and Seventh Street, which was previously occupied by Thai restaurant the Spoon Bistro. The menu announces “Boar’s Head” in huge letters above the lists of sandwiches, pastas and salads, with gold plaques displaying JJ’s two specialties. The Long Beach Special sandwich comes with meatballs, pepperoni, pastrami and mozzarella, served hot. 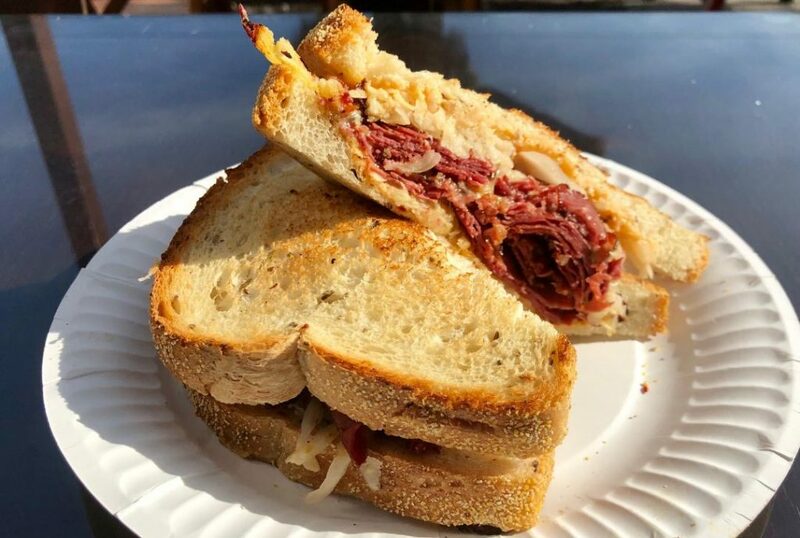 The other is the New York Style Reuben, a classic pairing of toasted rye slices, sauerkraut, Swiss cheese, Thousand Island dressing, stacked with about 2 inches of perfectly brined, thinly cut pastrami. You can get a “small,” which isn’t at all, or a “large” for an extra $3 and have enough food to last the day. Other sandwiches include the Tiny Toro, a cold, savory-sweet combo of honey-maple turkey, Swiss, lettuce, tomato and honey mustard. The Longshoreman hot sandwich is a monstrous concoction of salami, capicola, pepperoni, steak and bacon (heavy breathing), chipotle cheese, chipotle mayo, lettuce and tomato. JJ’s signature sandwich menu is about two dozen variations of a meat-cheese-veggie combo. Vegetarians can order the Lovely Lily, which comes stacked with the standard sandwich vegetables plus avocado. There are signs everywhere. A chalkboard at the front door advertises bagel breakfast sandwiches, plus hot dogs. One dog comes with pastrami, mustard and pickle. The same sign is copied inside by the ordering counter. On the other side of the counter are hand-written paper signs that suggest adding fries or onion rings to your order, and one with a checklist of bread options such as organic whole-grain or Italian soft-roll. There’s even a smoothie menu posted on the front window. The plates are paper and the forks are plastic. 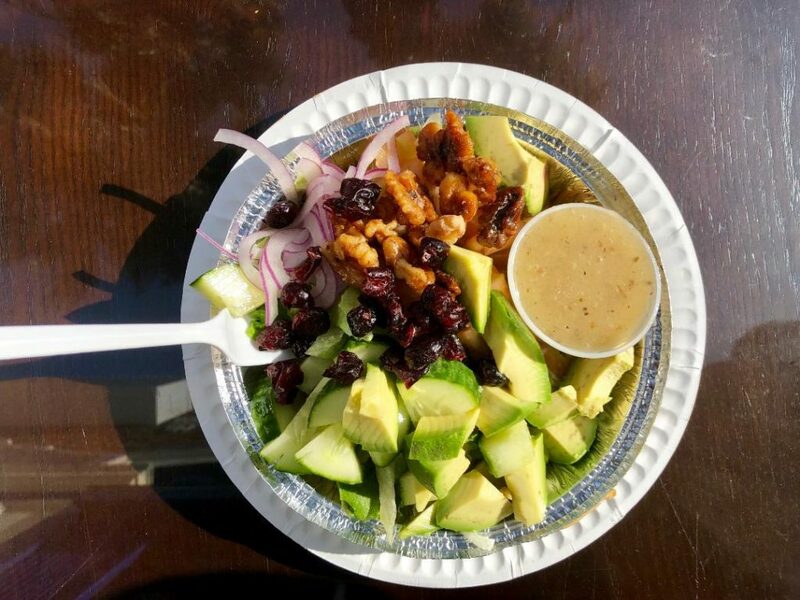 Salads come in ready-to-go foil takeout containers. JJ’s smacks of an old-school deli, but there’s cross-cuisine flair everywhere. Want a Thai iced tea with your sausage tortellini? Vegan salad to accompany a meat-mountain sandwich? Sure. JJ Italian Deli manages to keep conventional deli traditions alive, while also catering to the varied appetites of the neighborhood. JJ Italian Deli, 649 Long Beach Blvd., Long Beach, (562) 983-8998.